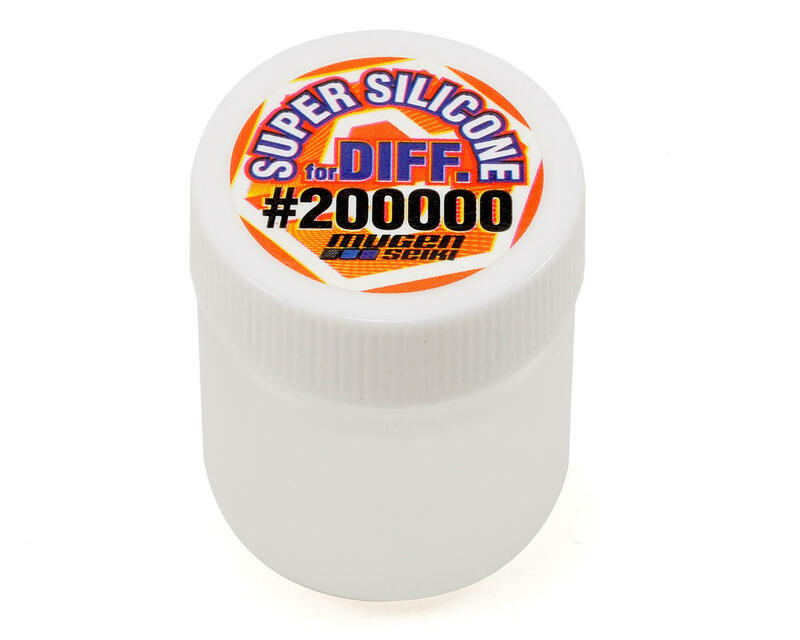 This is a 50ml bottle of Mugen Silicone differential oil for 1/8th scale off road buggies (and some 1/10th scale on-road touring cars). The thicker the oil, the less your differential will "diff out" in the corners, where the two tires will turn at different speeds. Changing the diff oil in your diffs is one of the most important tuning options for off-road buggies. Please use the pull down menu to pick the oil weight. 1/10 4wd buggy drivers: use the 100K weight in your center diff. If the diff is sealed properly, you won't need to use it but once during indoor season (running at least twice per week). Compared to Associated 100K: this is easier to pour and does not turn to putty. 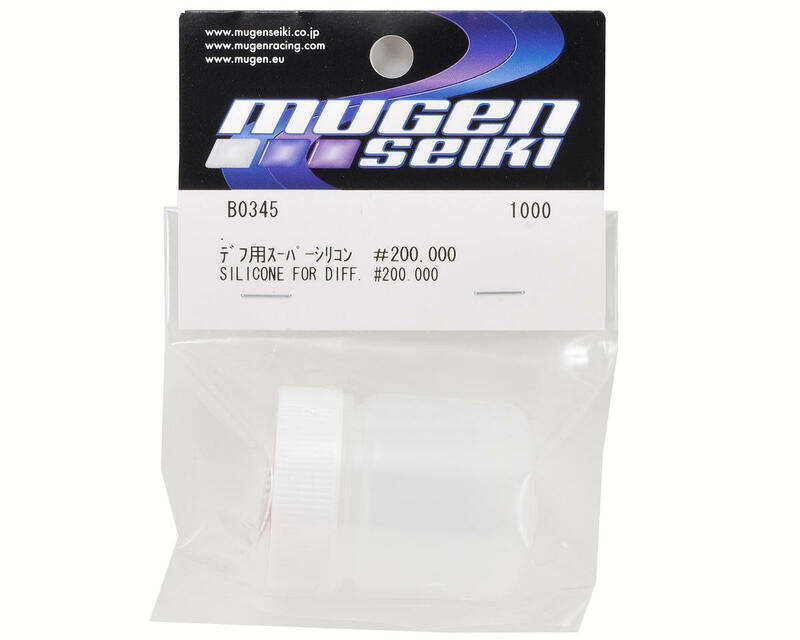 Other than PT oils, Mugen makes weights hard to find from other manufacturers (15K, etc). These bottles are easy to use and will fill diffs many many times, a must have for proper tuning.